Are you searching for Online Forum Sites where you can promote your website, blog, brand or business? Search no further, I have compiled the 10 Free Online Forums that gives you the chance to expand or grow your audience and network here in ElochiBlog. A Web Forum is a community or a discussion board where people interact. It can be based on a particular interest (Gaming Forums); or a broad interest (Entertainment); that people tend to talk about. It is also a place where problems are shared and solved or where top issues are discussed. In Nigeria, forums are regarded as a great resource of interaction, an average Nigerian spends 3 hours on a forum daily. That statistic alone tells how relevant Nigerian Forums are. Each of the forums can be based on a single topic that users have flair for or can be broad with sorted threads and topics. Not all forums are there for your brand or website promotion, in fact promoting on the wrong forum will get you banned. Most forums set guidelines and rules; they also set limits to user interaction. This means users don’t have the full freedom towards what they use the forums for. It is necessary as a blogger to get involved in necessary best blogging forums. Now, this can really add lots of values to you because we get to learn extra stuff from forums, meet good experts that we can get involved in threads with and learn more things. One of the biggest mistakes you can make as a blogger is not going to forums and engaging with other bloggers. But don’t panic, Today you will see the checklist of Free Online Forums and best forums for bloggers and Internet Marketers. Yeah, that’s a bonus you got here! For bloggers and Internet marketers. Now, what are Blogging Forums? Blogging forums are platforms setup where bloggers can meet-up, chat, post links and discuss SEO. They can share experience and maybe also assist themselves with regular advice to improve their blogging skills, and learn good SEO content writing tips. Basically, there is no much difference between these forums and normal forums themselves. In most cases, it could be that these forums are a subsection or sub-category of main forums. What are the benefits of joining blogging forums? Engaging in beneficial conversations that can give you blogging knowledge. However, in this article, I will reveal the 10 Popular Online forum sites where you can promote your blog, website, and business all for free. Below are the Free Online Forum Sites and Best Blogging Forums for Bloggers and Internet Marketers to promote your Website and Business Quickly. When you talk about forums in Nigeria, the first forum that comes to people’s mind is Nairaland. Seun Osewa’s Crib remains the number one Nigerian forum and a discussion forum where you can interact with others, discuss issues and also market your business and website. Nairaland as a web forum is surely among the best blogging forums you must join today. It is actually not a blogging forum only because other topics are discussed there as well. The forum is really awesome with just a few and unnoticeable limitations to how users interact. It currently has over a million+ active viewers and a pretty outstanding Alexa rank. With this type of forum, you stand chances of driving huge amount of traffic to your site daily. There are lots of topics in the forum ranging from Entertainment to Politics to Technology and many more. You never have to worry about discussion limits as there is none. 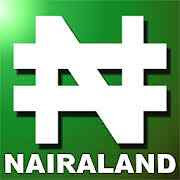 Nairaland forum is the number one forum in Nigeria. 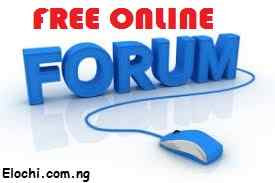 Nigerian message board is a free forum that was created in 2014. The forum is mostly for Nigerian audience and from the default patriotic color, it tells that all. The forum is designed with Nigeria’s color (Green and White) and comprises of different topics relating to Nigeria. You can promote your blog post here by writing on any of the forum’s topic and then include a link or reference to your website. The Earlyface forum is a Nigerian forum where users can discuss sports topics, tutorials, news updates, education updates, relationships and also play games. The usefulness of this forum is the fact that you can discuss on any of the topics whether football or a tech tutorial and link back to your website for reference. I cannot really ascertain the creation date of this forum but I will update this article once I find it. I must say this is among the best discussion forums ever. 6ters forum is surely a great forum that I have tended to love due to the much beauty and different categories of the forum. 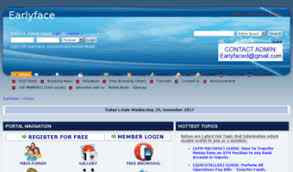 The forum was created to provide the platform for registered members and guests to interact at will. Categories in the forum range from Sport, Chats, Job discussions and a specially made section for bloggers. This forum also gives room to host your own section (blog) but it’s actually your timeline. You can post in the forum on any related topic and link to your website where necessary. 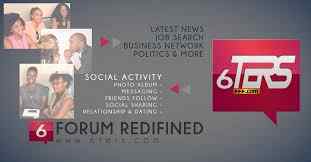 6ters forum was created in 2015. Site Server Timeout, will Update it Soon! This is one of the best forums in Nigeria. Guruslodge forum serves as a discussion forum and provides a room for discussions revolving around Technology and Entertainment. If you publish a tutorial on your website relating to a topic on the forum, discuss it in the forum and reference a link to your website. This is one of the free online forums for business which has a job section, if your company is hiring, you can post it in the forum with legible details. You can also make money from the forum by marketing your eBooks on the forum. 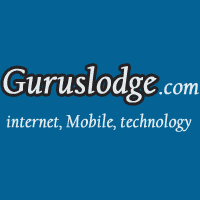 Guruslodge forum was created in 2010. Warrior’s forum is one of the best bloggers and internet marketers forum; Originally created in 1997. It has grown to be the best forum that engages all categories of bloggers and equally internet marketers. Friendliness and knowledge are shared freely among the forum members with both beginners and experts dominating the forum. With more than 100,000 threads being discussed on the forum daily, it has obviously claimed its spot as the best blogging forum on the internet and I personally recommend you to join it. Among the best of them all. 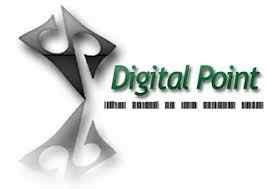 Digital Point Forum is surely the most active; you get to meet really good and experienced bloggers there. Also, the user interface or environment is friendly and you get to make new blogger friends. Along with that, you get replied very much quickly in most cases where you need help. It is surely one of the best blogging forums you must register in. This is the metrics discovered by me as at 3rd June 2018 that proves shoutmeloud ASK forum is one of the best blogging forums you must join today. Shoutmeloud Forum is among the popular online forums ever, check it out today! From my own personal point of view, being a blogger does not only mean you will be hitting the publish button always. It also means you have some “front-end” and “back-end” developing skills to add extra functions to your blog. 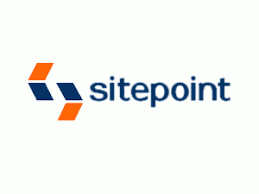 This is why the SitePoint forum is important, consisting of many topics involving web development and SEO which makes it one good forum to join as a blogger. 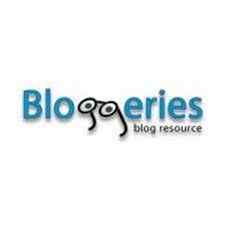 I would not write this article without adding Bloggeries Forum to it. It would even have maintained a higher spot in the list if not that it is currently under a revamp. This blogging forum has been one that really helped me learn a lot of things I know today and I won’t fail to give it duly deserved credits. In my good honest reviews, the blogging forums I listed above are not only just for commenting on threads, meeting new bloggers, or getting and lending assistance. You can equally use them to increase your Domain authority and Page authority by backlinking. Here is a perfect guide on how to get a backlink from Nairaland. I recommend you take a good insight on the forums one after the other and select the one you can really participate actively in, that is the purpose of me sharing them. This is a topic I really like to talk about and it will be nice to have a more in-depth detail on it. However, Free Online Forum Sites where you can promote your blog posts or website are very few and limited. Nairaland remains dominant among forums in Nigeria which has huge users and interaction. Nevertheless, I will ensure to keep reviewing the forums in Nigeria and provide an update if I find new discoveries. Make sure to join one, connect actively and learn new blogging skills while having fun. You are welcome Mike, nice having you here. thanks for sharing.. This is really useful..
You are welcome Olumide, thanks for coming. You are welcome, keep visiting for more updates like this and remember to share with your friends. Thank you! Hey Elochi, this is a very nice post you got here. It was really helpful to me. Thanks for sharing. hey freedom, thanks for visiting Elochiblog, remember to share with your friends. Thank you so much for providing this updated list of forums. Will definitely use them for our product reviewing website. I would like to add that warriorforum is quite popular among tech blogs. Thanks for sharing, do keep posting such articles. You are welcome, thanks for your kind comments, am glad you are here and found this post worthy. keep visiting us for more updates and remember to share with your friends. Thanks buddy, great you found them super cool. Globe Chamber of Commerce & Industry work to promote international trade, responsible business conduct and a global approach to regulation by combining our global influence with our unique expertise in advocacy, standard setting activities and global services. You are welcome Akash, hope to see you again soon! This is lovely information, thanks. Nice post you got here, thanks for sharing! Thank you so much for your kind comments. I do appreciate. Keep visiting this blog for more interesting articles like this. What a great article, I am so impressed with the websites you included. I have found an online tool that has made searching for guest post opportunity very easy for me! www.whoranksfor.com/guestpost This is a search engine that finds only guest post opportunity. You are welcome Oladayo, thanks for dropping by. Have a nice day buddy. Your blog help me a lot and you really did a great work. Thanks very much elochi, this outsmart the type having been looking for, I really appreciate this sir. Nice post u got here. I'm an upcoming blogger who is also finding ways of growing my traffic. I will need ur advice on that. Work on your Blog SEO, write quality contents with less competitive keywords and see yourself enjoying search engines traffic.